Sodium bicarbonate has been suggested to eliminate the pest, but there is no proof for their effectiveness. Most herbs like bay leaf, mint plants most especially have been known to be good repellants. Boric acid is an effective chemical to eliminate roaches usually with a combination of sugar to attract them and the acid to kill them. Although, this is not the safest solution in the book, but any insecticide that contains pyrethrin and also deltamethrin are effective in reducing the population of the species. But instead of “DIY do it yourself,” its best you call in fumigation or pest control company. They are professionals and will know the proper approaches to go through. Some predators can be used for the biological control of roaches. One of those is the Ampulex wasps, it temporary paralysis and passes a string into the brain of the cockroach. It then holds the antenna with its mandibles drags the roach into a burrow and feeds on it. But I doubt you would want a wasp to be your “roommate” just because you want to eliminate a roach. Moreover, birds feed on insects; they will be happy to be of help! In this aspect, you can decide to face them on the battleground yourself, that means staying up late since they are nocturnal creatures, depriving yourself of your precious sleep just for your kill but you have to be wiser than that! Sticky board traps can also be used to reduce their population especially when they are very much in a particular area. However, it is good practice to always keep your environment clean, to minimize roach infestation. 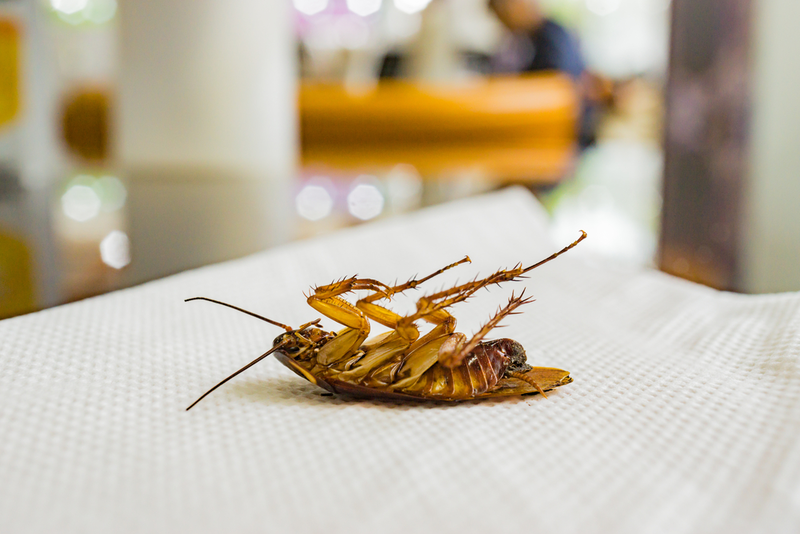 If you live in a roach prone area, it is mandatory to hire a pest control company for regular inspection and access to professional and more reliable advice.